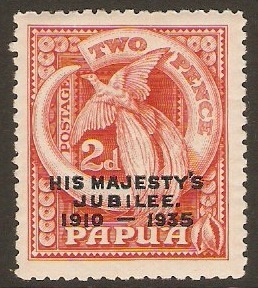 Home :: Papua New Guinea :: Papua New Guinea 1911-1936 :: Papua 1932 10s Violet. SG144. Very lightly mounted mint 1932 10s Violet. SG144. 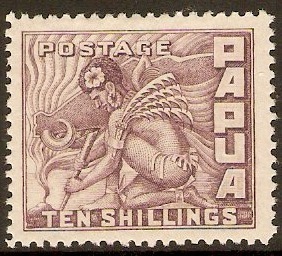 Stamp design shows drawing depicting Papuan lighting a fire.